Sigh. It seems like only yesterday that these mild-to-highly disturbed folks came into our lives, but alas, ‘tis time to say goodbye! Before the six couples of 90 Day Fiance: Before The 90 Days float on down the rancid river of their bad decisions forever, we at least get one final rumble on a very tiny couch, complete with Angela popping off on Rachel while two grown men physically restrain her. And really, what more could we ask for? Last night, Shaun Robinson hosted the 90 Day version of a TLC reunion, known as The Couples Tell All, in which the American fiances come together (plus Jesse, who would attend the opening of an envelope if it meant more screen time) to talk to their Skyped-in lovahs. At each Tell All, we are promised updates on the couples’ plans since we’ve seen them last. But what we actually get at these twisted shindigs is OH SO much more. 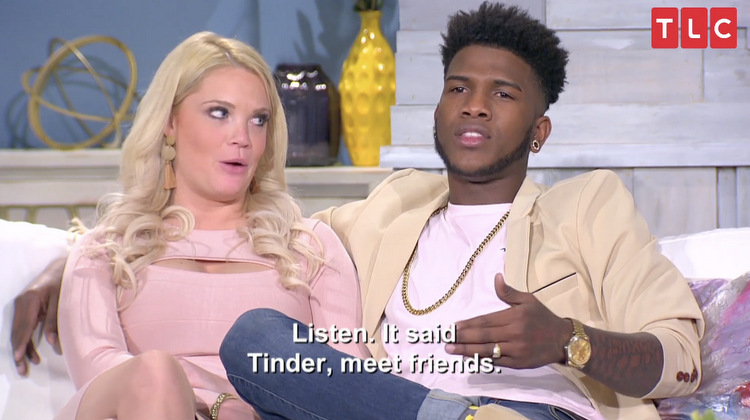 Even though each and every cast member of 90 Day Fiance: Before The 90 Days could single-handedly bring enough dramatic trash TV to carry an entire season, tonight we’re in for a real treat. 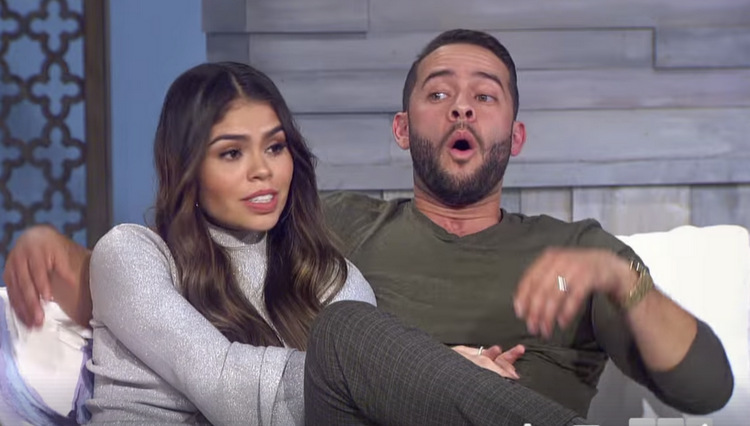 Because the Couples Tell All reunion is here! And you know what that means: The entire cast is about to be crammed on to one tiny couch to claw each other’s eyes out in the name of love and fodderhood. Plus, their partners in crime are all set to Skype in via large screen TV to fight with them through the magic of broadband, with only Shaun Robinson poised betwixt them to control the chaos. Or maybe just gawk at it? What do you get when you bring six dysfunctional couples together (minus one Luis), dress them up, then let them openly judge one another’s abysmal choices in life? Yes, it’s time for the 90 Day Fiance Happily Ever After Couples Tell All, part one! Shaun Robinson is back to host/mediate the madness, and we are here to eat our popcorn and watch how long it takes for Jorge to start lying his eyebrows clean off. We have travelled a long, weary, karate-kicking road. And here we are once again at the end of another journey through the sewer. 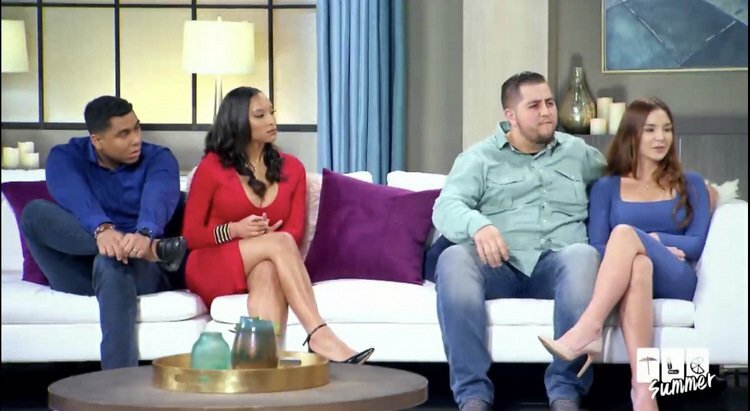 Tonight 90-Day Fiance Happily Ever After will air part one of its two-part Couples Tell All reunion, complete with accusations, lies, justifications…and maybe even a Family Chantel-inspired fistfight? And we wouldn’t have it any other way!